Looking for an opportunity to get involved with MU campus organizations? Want FREE food, music and fun? 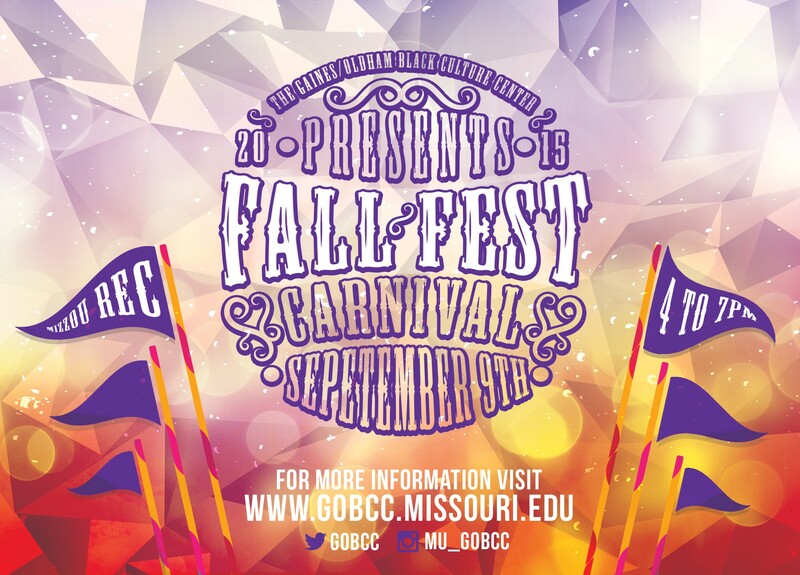 Well, Fall Fest 2015 is the place to be! 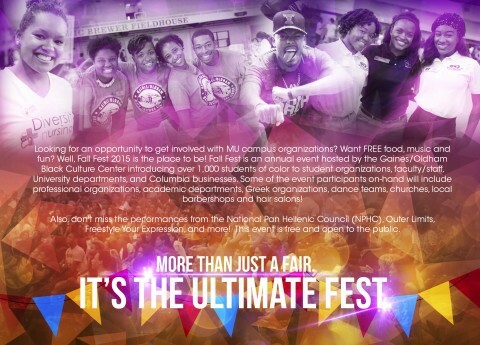 Fall Fest is an annual event hosted by the Gaines/Oldham Black Culture Center introducing over 1,000 students of color to student organizations, faculty/staff, University departments, and Columbia businesses. Some of the event participants’ on-hand will include professional organizations, academic departments, Greek organizations, dance teams, churches, local barbershops and hair salons! This is an excellent opportunity to show the campus community what your organization, department or business is about, advertise your services, and recruit new members/customers. **Please note that tables WILL be shared with another registered group.